I love being able to help give back to the community, as it also helps develop my character, meet new people, help those in need, especially the kids who come along and fly, and it just gives the great feeling that you were able to make a difference. How did you hear about ATC? 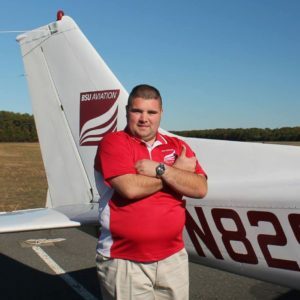 I heard about ATC during my Senior year at BSU from Greg Bongiorno, the aviation program manager (and dream pilot) at the time for an opportunity to become an Intern during the summer of 2015. What made you want to become a volunteer for ATC? Above the Clouds is a one of a kind non-profit organization that is truly changing lives. 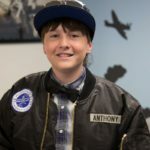 After getting the invite to come to a Dream Flight Day in April 2015, I realized that I had made the best decision in my life, and I still continue to volunteer to this day. How long have you been involved with ATC? Do you remember you’re first time volunteering for ATC? How was it? Oh yes! I remember the first kid I saw fly because he got to fly in a turboprop, which was absolutely amazing. What is your most memorable experience with ATC? I did get to help a cadet flyer through his pre-solo quiz, and since I also am a pilot myself, I did my best to make sure that it was all accurate and that he understood why the answers were right. That was a fantastic time, and shortly after, I got to see him fly solo, and it was awesome to see. 9. Talk me through a typical DFD you have with these kids? I am the radio specialist at ATC, along with being a general purpose volunteer, which means I can do anything that’s asked. My primary responsibility, is to coordinate with the flight coordinators and with the managers on when the dream flyers depart and arrive, which helps everyone get to where they need to be when its needed. When a dream flight is arriving, I let the coordinators know that their dream flyer is about to land so they all are there to greet them right when they pull in. 10. How do you think ATC is changing lives? ATC is absolutely changing lives for everyone involved, including the kids who come along, the pilots who fly them, and the volunteers who support the whole operation. The kids who are experiencing a very difficult time in their lives get an entire day that is dedicated to them and there were times when I even heard some kids say that it was the first time they really felt special. For the pilots, they get to get make a difference for someone who is in need. For volunteers like myself and others, it gives us the ability to help those who need it the most. From simply greeting others when they first walk in, to the talented artists who make the signs, the flight coordinators who make a very important impact in the operations, to the pilots who dedicate their time to take the kids for a ride it benefits everyone, and has made a very positive impact on the community. 11. Is there something I haven’t asked you that you would like to say about ATC? If anyone who sees this is considering volunteering, I promise that it will be one of the best decisions you ever make in your life. Earlier this year, in a blog titled “Unity Through Community” a few amazing, local organizations that share our devotion to giving back to the community were highlighted. You can find that article by clicking here. 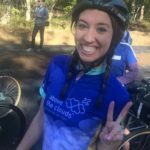 Since that time, Above the Clouds has had the pleasure of working with several other fantastic organizations making a difference that we wanted to let you know about. Hurricane Harvey and Hurricane Irma have devastated many lives over the past couple of weeks, but there has been a great effort by many groups around the country to give aid to those in need. It is reassuring to know that during these times of struggle our community will come together because we realize that we are all in this together. Organizations like the ones featured above as well as many others really do make a difference and help make the world a better place. 2. Are you a Dream Flyer? Discovery Flyer? Cadet Flyer? I am a Dream Flyer but soon will be a Discovery Flyer. One thing that most people don’t know about me is that I have a love for photography. 4. Where did you fly during your Dream Flight on June 22nd? I flew over Martha’s Vineyard and Gillette Stadium! 5. Did you enjoy spending time with your pilot? Was there anything memorable about your time together? I had a wonderful time with my pilot! The most memorable part was when we were about to takeoff because I was so nervous and excited! 6. What did you love most about your Dream Flight? My pilot allowed me to help him fly the plane! It was so much fun. First we were greeted in the parking lot by all the volunteers. Then Caitlyn and I went upstairs to meet our Dream Flight Pilot where he explained to us what we would be doing inside the plane. After our pre-flight preparation was done we went down to inspect the plane and there were so many people wanting to take my picture. Once we got inside the plane we started communicating with the air traffic control tower and then finally we took off and flew around for about an hour. When we landed I got a hand-decorated poster, a pair of aviator sunglasses and personalized pilot’s jacket with my name on it. 8. What would you say to someone who has yet to have a Dream Flight Day experience? I would say that it is amazing and so much fun. 9. How would you say that Above the Clouds is changing lives? Above the Clouds is giving children the opportunity to fly in a plane and even help to fly a plane. I am very grateful for my experience. 1. Fulfill the need for seriously ill and underserved children to experience joy and to have opportunities to escape the fear, pain, stress and/or tedium that mark most of their lives. 2. Fulfill the need for youth to be afforded the guidance, support and friendship that a positive adult mentor can offer. 3. Fulfill the need for youth to be provided with experiences that instill a love of learning that can offer the motivation needed to work hard at school. These goals are accomplished through our three programs: Dream Flyers, Discovery Flyers and Cadet Flyers. 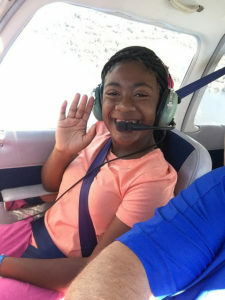 The Dream Flyers program is an exciting chance for young patients eagerly looking to complete their hospital stay or children who are disabled to fly in the co-pilot’s seat of an airplane. 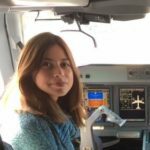 The Discovery Flyers program affords teenagers with the opportunity to fly regularly and build a bond with a Pilot Mentor. The Cadet Flyers Program targets the growing number of young people who are falling through the cracks at school and aims to help them build a bridge to employment opportunities in the aviation field. This article reaffirmed the important impact and positive, transformative effects of flying. Most of the kids we get to know have never even been in an airplane let alone been given the opportunity to fly one. This seems like it might be something insignificant but flying in the co-pilot seat and literally seeing the world from a new perspective makes them realize that we are all a part of something larger. The article states: “Having watched this one young man’s journey I get the strong feeling that when times get turbulent, he’ll keep the wings level. In adversity, he’ll see things for what they are and coolly consider options. When moments of decision come, he’ll commit without hesitation.” Above the Clouds hopes to foster this kind of impact by continuing to bring joy and hope through the wonder of flight. I was born in Ecuador. My father is Columbian and my mother is Ecuadorian but I was raised in Boston. 2. Are you a Dream Flyer, Cadet Flyer or Discovery Flyer? I was a Discovery Flyer for 7 months but recently I become a Cadet Flyer. A passion of mine is photography. I became interested in photography because I joined a film class and since then I have developed a passion for photography. I love being able to capture moments. 4. What is your favorite place that you have flown? Martha’s Vineyard because that was the very first time I had ever been there. I thought flying over the water was beautiful and seeing the lighthouse was absolutely stunning. 5. How long have you been flying with Above the Clouds? 6. How did you find out about Above the Clouds? I found out about Above the Clouds through my high school principal. She told me about a program that wants to help kids learn how to fly. While we talked, she told me how there aren’t a lot of female pilots in the field which really piqued my interest because I want to be apart of a new generation with more female pilots. 7. What do you love about flying? I love the rush you get when you take off and you feel the butterflies in your stomach. When I am in the air I have this sense of freedom which allows me to escape from reality. It’s very relaxing. 8. Do you remember your first flight? I was so nervous my first flight that my hands were trembling as I gripped the yolk. My mentor pilot made everything seem incredibly easy which was reassuring and helped me relax. As we were flying I looked out the window to see the lights of the buildings and the cars which also helped calm my nerves. 9. What is your most memorable Above the Clouds experience? I will never forget my first flight because of how nervous I was but was able to overcome it and now I have made amazing progress. 10. How has Above the Clouds changed your life? Above the Clouds has changed my life because they have shown me that there is always new opportunities in every direction. I never thought that I could learn to fly a plane but I took a chance and learned to believe in myself as much as they believed in me. First we talk about what the flight day will look like. Then we check the plane to make sure its all working well. My pilot will ask me questions along the way and anything I don’t know he makes asks me again later to make sure I am learning. 12. What goal do you hope to achieve with the help of Above the Clouds? My end goal is to get to my solo flight. I really just want to have more knowledge about flying and having more confidence in myself when I’m flying. 13. What advice would you give someone who wants to be a Cadet Flyer? Being a Cadet Flyer involves a lot of dedication. It’s an amazing experience so if it’s your dream you have to pursue it. Spring weather is finally in the air which brought to mind that today, May 4th is the four year anniversary of our first Dream Flight ever. For those of you who are not familiar with our organization, Dream Flight Days take place once a month and bring together pilots, volunteers, and kids to enjoy a day of fun through the wonder of flight. Dream Flyers are greeted at our airport base with bells and whistles by our volunteers and escorted to the Above the Clouds Pilot Lounge where they are introduced to their pilot. Together the Dream Flyer and Dream Pilot develop a “Dream Flight Plan” before embarking on a 30-60 minute flight during which the Dream Flyer sits in the co-pilot seat and even helps fly the plane! Giving Anthony a chance to soar after everything he had been through is what Above the Clouds is all about. Above the Clouds was created out of a desire to marry two passions: aviation and helping ill, disabled and underprivileged children and teens. Since meeting Anthony 4 years ago we have been able to accomplish so much including serving 75 Dream Flyers in 2016 and hopefully even more this year! Therefore, as we look to the future we will continue bringing joy and hope through the wonder of flight to many new Dream Flyers, but we will always hold a special place in our heart for our first Dream Flyer, Anthony. 2. Where is your favorite place to fly? 4. How long have you been a pilot? 5. Do you do Dream Flights? Cadet Flights? Discovery Flights? 6. How did you hear about ATC? 7. What made you want to become a pilot? When I was in the 3rd grade I flew up to a fishing camp in northern Maine on an old faded green Dehavilland Beaver float plane with oil streaks covering the belly and that was it for me. I needed to be a seaplane driver! I eventually had the privilege to be a seaplane charter pilot for a few years in my early twenties before moving on to the airlines. 8. How long have you been involved with ATC? Going on my third year! 9. What is the most memorable experience you have had with ATC? 11. What do you like most about volunteering for ATC? I truly enjoy being a part of an amazing team for a great cause. The ground crew and coordinators do such a great job making the experience for our visitors run so smoothly. 12. How do you think ATC is changing lives? 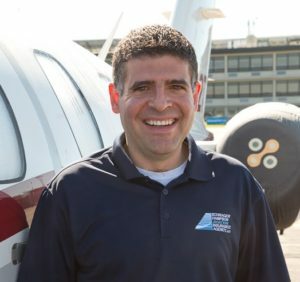 The brilliant idea to take the underutilized, dynamic world of general aviation and channel those resources towards fostering happiness and exploration to young individuals that could have never imagined such an experience is truly changing lives. After the welcoming committee does their fantastic job of greeting our special visitor I have to best on my best game to keep the momentum going! It is always so much fun to introduce my dream flyer to aviation but I make it a point to keep it fun an relaxed. I usually start with non-aviation conversation at the beginning which usually helps me gauge the flyers mood in order to tailor the experience for them. I keep the conversation going and try to figure out how silly I can be since they are usually expecting something serious considering there are airplanes involved. They quickly realize there is nothing serious about what I am doing. After a casual (yet safe and thorough) preflight, I say, “lets go burn some holes in the sky” and I always let them fly if they choose. 14. What do you love about flying? 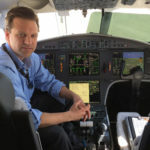 I love the challenges associated with each flight whether its a high-tech jet or old tail dragger, the people I get to fly with each day, the places I go and of course safely returning home at the end of each trip. 15. Is there something I haven’t asked you that you want to say about ATC? I am so glad there are DD munchkins now! 2016 was an exhausting and polarizing year. Here at ATC, we truly believe in the healing power of giving back to the community. Thankfully, we are not alone in that belief. Below are 4 other organizations that share our devotion to community. Joy in Childhood Foundation- Since 2006, JCF has been providing the simple joys of childhood to kids facing hunger and sickness in communities across the country. Their dedication to making the world a better place is just one of the many reasons why we are proud to be associated with the great work they are doing. For more information please visit www.dunkinbrands.com/foundation. 2. What is something most people don’t know about you? I used to be afraid of flying! Yikes! 3. What do you love about volunteering? Seeing the obvious joy that it brings to the Dream Flyers’ faces as they are greeted when they first arrive at the airport, when they wave goodbye as the plane is taxiing for takeoff and the contagious, genuine smile after they land. It’s just…awesome! Indescribable! 4. How did you hear about ATC? My fiance, Mike D’Alessandro, worked at Norwood Airport and became introduced to ATC through Gary. 5. What made you want to become a volunteer for ATC? When Mike came home from work one day and told me about it, I knew it was an organization I wanted to somehow be involved in. An organization based on the wonder of flight and changing the lives of children…what is better than that? 6. How long have you been involved with ATC? 7. Do you remember your first time volunteering for ATC? How was it? I knew it wasn’t going to be my last time volunteering! I couldn’t wait to sign up for another day! 8. What is the most memorable experience you have had with ATC? We had a young boy who was a dream flyer that had just beat cancer. Seeing his love for life and smile throughout the day was a memory I will never forget. 9. How do you think ATC is changing lives? It gives children who are facing hardship a new perspective (literally). It is bringing them joy, hope and the realization that they can do anything (including co-piloting an airplane)! As a Flight Coordinator I am typically assigned to one Dream Flyer. When the Dream Flyer first arrives we greet him/her with cheers, signs, cowbells etc.! After the Dream Flyer plans their flight with their pilot, we head out to the airplane and the Dream Flyer assists the pilot in pre-flighting the aircraft. Post flight, we greet them when they land and head to our Pilot Lounge for a couple more surprises…their very own flight jacket and aviators! 11. Do you have any personal volunteering goals for 2017? I would like to volunteer at nearly all Dream Flight days in 2017! The spirit on dream flight day is contagious!